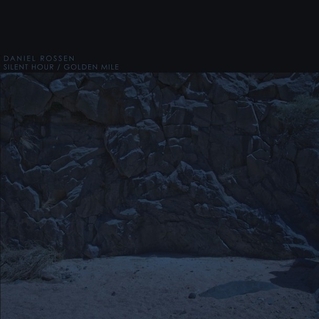 This is the first real outing from Daniel Rossen since Grizzly Bear’s 2009 Veckatimest album. There are plenty of continuities. Working on the Lennon/McCartney principle that whoever sings the song composed it, then ‘Return to Form’ on this EP recalls Rossen’s ‘I Live With You’ on Veckatimest. The slow build up of the guitar and then the shimmering keyboards that lifts the song to a whole new level. Similarly, ‘Silent Song’ here echoes ‘Fine For Now’ there. The quiet and the loud. The build up of tension and the release. There are contrasts, too. There’s nothing quite as elaborate or syncopated here as ‘Southern Point’. There’s nothing with the structure of ‘While You Wait For The Others’. There’s a sense that these new songs are just a little more raw. A little less produced. Less Grizzly Bear, more Department of Eagles, his other side-project. And that’s not a bad thing. Perhaps because of the circumstances in which Department of Eagles’ In Ear Park was written – the death of Rossen’s father – there was more emotion to the songs there than anything on Veckatimest. At least in the way in which they made the final cut. That emotion is here too. “Lord, I know it’s wrong”, he sings ‘On Silent Song’, “So help me out”. But the emotion is never at the expense of the melody. Rossen’s hooks stay in your head. And a sense of humour too? Calling your song ‘Return To Form’? It’s misleading, though. There was never a dip in form. And this EP just increases the anticipation of the next installment from Rossen under whatever name he chooses to record. Writing songs is becoming more difficult for James Mercer. In the early days it was easy. The songs were short, crisp, catchy. Cerebral, but simple. Gradually, things have changed. It’s not just the amount of time between albums that suggests writing is becoming more difficult. It’s the songs themselves. Take ‘Simple Song’. Simple, right? No. It’s full of fills. Guitar fills. Drum fills. A deeper, talky section in the middle. Simple, it is not. And then, there’s ‘It’s Only Life’. A ballad by The Shins. A very ordinary ballad. A very clichéd ballad. Almost an X-Factor ballad. Terrible. 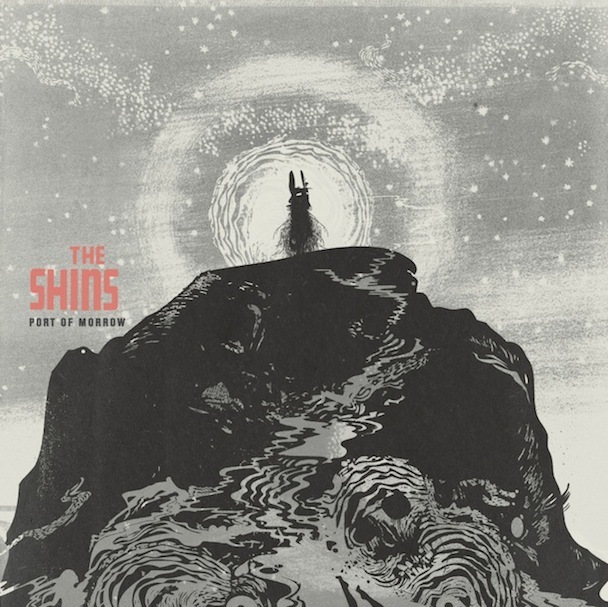 That said, this is still an album by The Shins. Unmistakably by The Shins. ‘Bait And Switch’ could have come straight from Oh, Inverted World and in a good and new way. ‘September’ is a slow song, but it’s not a ballad. It’s calm, but it’s unmistakably a song by James Mercer and The Shins. There’s a moment on it when he sings ‘born of the sea’ and on the word ‘sea’ suddenly the song goes to a whole new place. A wonderful place. We’re pulled back soon enough, but at least we went there. Generally, there’s a feeling that James Mercer is having to try a little too hard these days. Maybe he needs a collaborator, like Danger Mouse, to bring out what’s best within. On Port of Morrow, he still has plenty of really good ideas, but there’s a nagging sense that he has to build a song around them. The early albums felt complex, but natural. Here, they feel complex, but constructed. Ah, but then there’s that moment on ‘September’. 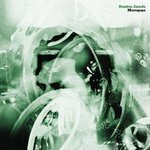 With ‘Break It Yourself’ Andrew Bird shows that he’s as unique as ever. The talent for song titles, ‘Eyeoneye’, ‘Polynation’, ‘Near Death Experience Experience’. The penchant for elusive lyrics. “Exiled your close advisors. Ousted your dog, your rabbits. You’re through with pasifizers”. And then there’s the music. The looping. The whistling. This could only be an album by Andrew Bird. But this is a slightly different Andrew Bird album from its two predecessors. There’s more pizzicato. Fewer overdubs. The pace is slower. The sound more mournful. Cold even. On ‘Near Death Experience Experience’ he pictures a plane plummeting to earth with the seemingly inevitable result. But, thankfully, there’s nothing wrong. “And we’ll dance like cancer survivors”, he sings. “Like we’re grateful simply to be alive”. And yet, it doesn’t seem like a great party. If there’s dancing, it’ll be a tea dance, not a rave. Contrast that to ‘Fiery Crash’ from ‘Armchair Apocrypha’ where he pictured exactly the same scenario but made it sound like a great way to go. The downbeat nature of the album can be seen most clearly on the penultimate track, ‘Hole In the Ocean Floor’, all 8 minutes 18 seconds of it. It grows gradually to a crescendo, right? No. It meanders. It’s very Andrew Bird. An infinite variety of strings. But it doesn’t welcome you in. ‘Break It Yourself’ is yet another great Andrew Bird album, but unlike his other recent albums it’s a difficult one to love. Ah, the ‘difficult’ second album. You’ve been writing songs since you were teenager, perfecting them. They get released and suddenly you’ve got a hit on your hands. It’s so popular that the public and, more importantly, the record company are clamouring for more and quickly. You deliver. Frantically writing an album’s worth of new songs in a fraction of the time the previous one took. But it’s a dud, and for the next 40 years you end up playing the songs you wrote as a teenager to small groups of fans in the back rooms of pubs. For Damien Jurado, it’s the ‘difficult’ eleventh album. Moving away from the standard singer-songwriter format, the sound has slowly got fuller, the palette broader, the ambition bigger. On Maraqopa, the development is clear. ‘Nothing Is The News’ kicks things off with a total wig out. ‘Life Away From The Garden’ follows with echoing female harmonies. ‘Reel To Reel’ swirls. These are new sounds. They’re courtesy of a continuing collaboration with singer-turned producer, Richard Swift. They really work. There are songs that hark back to the two previous albums, ‘Caught In The Trees’ and ‘Saint Bartlett’, but Swift manages to build on them, keeping the vulnerability of Jurado’s voice and lyrics while adding a new dimension, a new orchestration. It works because it’s done subtly. Even the wig out. In the end, there’s a certain anti-climax. The final song ‘Mountains Still Asleep’ finishes the album quietly, even abruptly. But it’s a trick. It just leaves you waiting all the more impatiently for that ‘difficult’ twelfth album.